It's tough to shake the feeling that if the script for Million Dollar Arm had been around at Disney in the 1990s, or if Jon Hamm hadn't attached himself to it at the peak of Mad Men's popularity, then Tim Allen would have taken the lead role. The story itself could have been picked up at any studio, but the fact that it comes from the House of Mouse's live-action division means that it also shakes dust off the old character trope of the Disney dad. It's no mean feat, considering that sports agent JB Bernstein isn't a father in this story. Based on real events, this is the story of the titular talent competition, dreamt up by JB to save his flagging agency from closure. Inspired by an unlikely combination of cricket and Susan Boyle, his pitch is to find an Indian bowler who can pitch fastballs and tap a billion new international baseball fans. In fairly short order, (montages always help) he finds a couple of likely candidates and brings them back to the States to train up. Suraj Sharma and Madhur Mittal play the two hopefuls, Rinko and Dinesh, and they're joined by a boundlessly enthusiastic Pitobash as their translator and budding baseball coach Amit. If you supplanted any of these three people with a kid, you'd pretty much be looking at Jungle 2 Jungle, such is the lack of nuance in the culture clash stuff and the familiarity of JB's fictionalised journey as a workaholic "dad". The setup is also embattled by the obvious, already dated reference to the Susan Boyle moment on Britain's Got Talent, presumably intended as a reflexive message about not jumping to conclusions that is explored in other, better ways later in the film. It's surprising that the script comes from Tom McCarthy and the director's chair is occupied by Craig Gillespie- it all feels a little safe and homogenised. All of that said, there are pleasures to be had here. Sharma, Mittal and Pitobash all steal scenes left, right and centre from Hamm's exasperated JB. The comedy juice comes almost exclusively from low-hanging fruit like cultural differences and a PG flirtation with Lake Bell's supposedly dowdy next-door neighbour, so the laughs are usually closer to chortles than full-on guffaws. At least it's consistently chucklesome in that role, with Alan Arkin more or less being airlifted in and out of the film at a couple of intervals to liven things up. He's on form as usual though and you miss him the first time he departs with a literal "My work here is done" so that the film can settle into its second act. 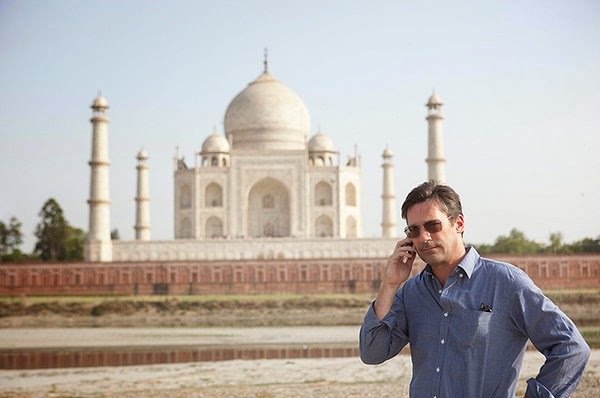 Million Dollar Arm's tourist's-eye view of India, its people and its culture, lets the air out of the more uplifting underdog story that inspired the film itself. Telling the tale from JB's perspective gets a little more mileage per hour out of the story, but then I'm not sure it needs to run to two hours anyway. All the same, it thrives on its vibrant and upbeat energy- the cast is endlessly watchable and there's a certain gladsome edge to McCarthy's script that's difficult to deny. Million Dollar Arm is now showing at cinemas nationwide. 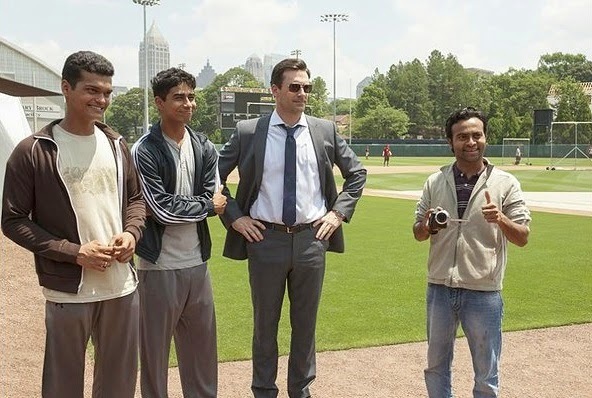 If you've seen Million Dollar Arm, why not share your comments below? I kid because I care- I do hope Tim Allen gets another Disney movie to himself soon.